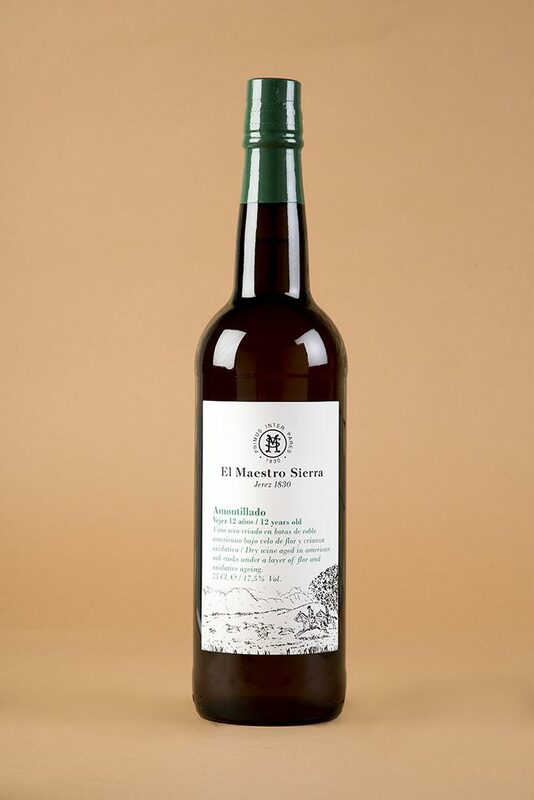 The Amontillado is a particular wine, product of the fusion of two types of ageing in the traditional system of Soleras and Criaderas: the biological ageing under flor yeast, and the oxidative ageing. The initial stage of the ageing is produced under flor yeast. During the first 6 years the wine will remain in criaderas where it will acquire pungent notes and a marked dry palate. After this, the wine is fortified up to 17% of alcohol in order to weaken the flor yeast and encourage the second stage of the ageing; the oxidative process, which will last for almost a decade. During this time the wine will loose its pale colour and will darken slowly. It will concentrate and acquire the characteristic touch of oxidation. This double process of ageing makes the Amontillados extraordinary wines, complex and interesting. To the senses: elegant, subtle, amber and balanced. For El Maestro, it goes with… smoked fish salads, mushrooms and red fruits.